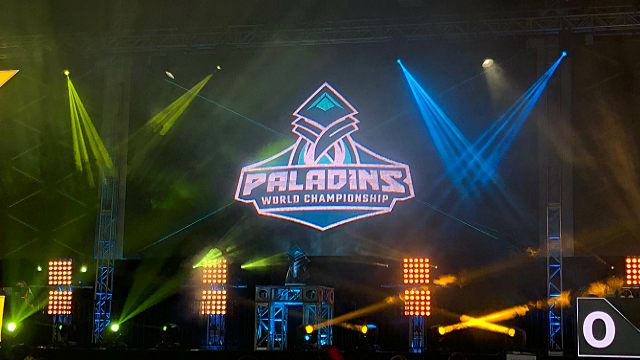 The Paladins World Championship brought fans and pro players alike swarming into Atlanta for this year’s DreamHack and Hi-Rez Studio Expo. 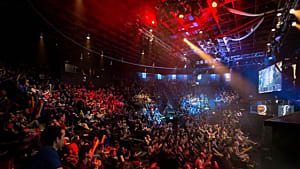 Though the World Congress Center was filled with BYOC crowds, shops, and panels, the main events were for esports championships. 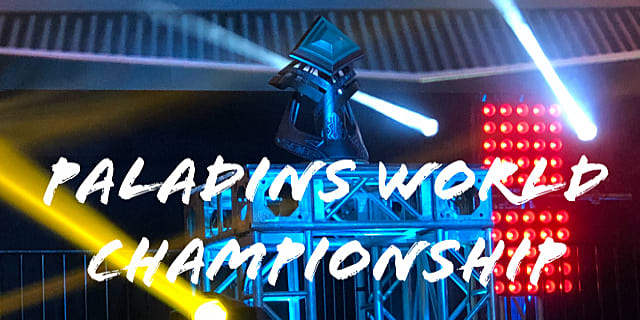 Each of these talented competitors battled it out for a place in the grand finals and a piece the $300,000 prize pool, but only one could walk away with the championship title. 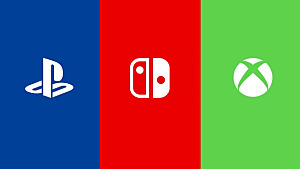 While each team made it to the championships for a reason, it was clear that not all of them would be able to hold their own in the early stage of the competition. In the quarterfinals, all the matches resulted in easy wins for some and devastating losses for others. The first face-off between Na'Vi and Virtus. Pro resulted in a swift victory for the past champions with a 3 - 1 score. With similar results, G2 could not compete against Fnatic who won 3 - 0. Team Envy mirrored this victory in their results against Kanga with a 3 - 0 victory, and despite some predictions, Brazil’s Spacestation Gaming defeated NiP with a 3 - 1 score. Day two began with the first semifinal match against Na'Vi and Fnatic. However, out of the gate Fnatic seemed to have lost their fire and aggressive play style from their previous match on day one. Fnatic just wasn’t dealing enough damage with their team composition the first two rounds, and Na'Vi recognized this. 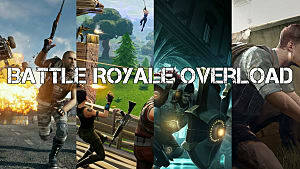 They were able to wipe out their opponents easily, but rather than rushing in for kills, they lured their opponents in and staggered their deaths to keep them from regrouping. In round three, however, Isbittenner demonstrated why he is a young force to be reckoned with and revitalized his team. He went on rampages and led Fnatic to a 4 - 1 victory on Ascension Peak. This would be the only match Fnatic would find success on though because Na'Vi were not going to give up an opportunity for another championship title. Na'Vi moved on to the finals with a 4 - 1 score. Though this face-off was an easy win, the same can’t be said for the intense battle between Spacestation Gaming and Envy. Many predicted the US team would find quick success against SSG, but they were sorely mistaken. The Brazilian team defied expectations and gave one of the strongest performances in the championship. The crowd was split with enthusiasm for this underdog team and with support of the remaining US team. RandomNoob from Team Envy performed well throughout the first match, sneaking behind enemy lines and wiping out players before they could realize what hit them. However, SSG retaliated with a victory led by FRZGod in the second round. 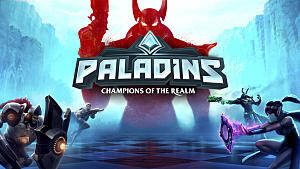 On Frog Isles, Ar3z landed constant headshots as Kinessa, picking off Envy players and contributing to another victory. 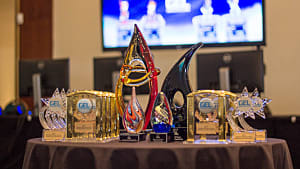 The two teams continued trading wins and losses until in the final seventh round where Team Envy secured their spot in the grand finals. As the finals approached, fans and commentators alike were split on who would walk away as the grand champions, Na'Vi or Envy. Envy’s coach Metapusher seemed enthusiastic about taking on “Goliath” and was confident from their preparations to face Na'Vi. Faenex the captain of Na'Vi expressed his gratitude for making it this far and believed that both Na'Vi and Envy were the “top two teams in the word” who deserved the opportunity to duke it out for the grand championship title. 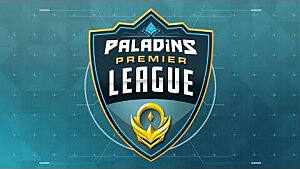 The first match was set in Splitstone Quarry, and Envy seemed to have the superior team composition since Na'Vi had no flanks to deal with Kinessa, but Mutu helped his team narrowly snag a victory with a risky flank play as Vivian. The close round went to Na'Vi 4 - 3. It was the first loss out of the gate that Envy experienced in the world championships, and it could have shaken their confidence going into Brightmarsh, but they enter match two strong-willed. Despite Na'Vi’s strong defensive line, Tulky kept up the pressure as Ruckus to deliver the payload and Randomnoob led the fight with a total of 18 kills. The team evened the score here. 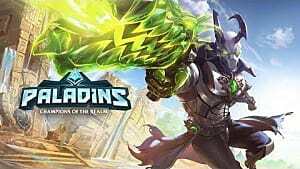 Na'Vi picked up the pace at Jaguar Falls with Mutu as Zhin completely melting through Envy in their spawn and Laizy as Khan nearly delivering the payload all on his own by tossing opponents off the map and blasting through the defense. Na'Vi won 4 - 0 this time but don’t find any ease in the next round with constant comebacks from Envy who narrowly captured the point twice after Na'Vi reached 99%. Randomnoob was the player to beat this round as Evie when he continuously wiped the objective clear. Na'Vi continued to struggle to win the objective fight in Serpent’s pass where Rockmonkey plowed dealt massive damage as Cassie while also somehow managing to stay alive at the brink of death. The final round for the Grand Championship turned dismal for the previous champs as they barely contested the point on the Fish Market map and gave little resistance to Envy. Rockmonkey once again brought the heat with 15 kills and no deaths, and the North American team won the match 4 - 0. 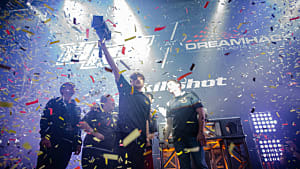 All the players had their strengths and weaknesses, but ultimately, Envy played the better game and managed to come back time and time again to eventually claim the World Championship title.